Reigning surfing world champion Tyler Wright has revealed she nearly quit the championship tour after her brother Owen Wright was seriously injured during a warm-up surf at Pipeline in Hawaii. At 21, Tyler became her brother’s primary carer. She felt at a crossroads: should she quit the tour to be by her brother’s side, or leave him to chase her dream of the world title? The show goes far back in the Wright siblings surfing life. 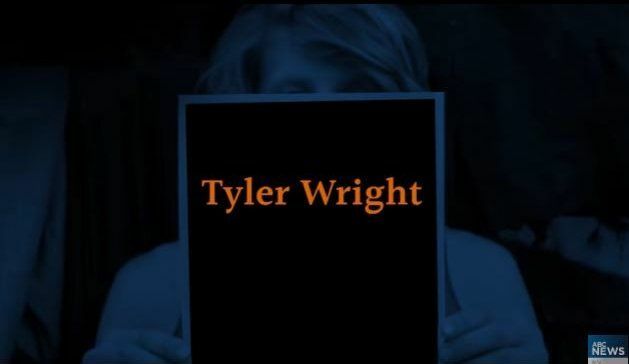 But the poignant part of the Wright saga begins in Dec 2015 at Pipeline. Mick Fanning shares for the first time the Pipe incident that nearly halted Owen’s career…..
For Tyler, the near tragedy was used as motivation to win her inaugural World Championship Title last year. Just as her brother was always by her side for support on tour, Tyler finally found that extra something she needed to finally bring home the trophy. “I felt that the family needed it,” Tyler said. With her Brother’s impossible comeback to win the Quik Pro early March, it’s clear the power of the Wright Ohana is undeniable.